On the cold days of winter, a fireplace is just the thing to warm up those chilly nights. 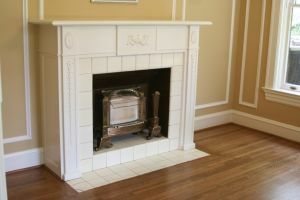 fireplace, a licensed plumber can help you make your project a reality. s, many which offer energy efficiency. Options to consider are a model that can be connected up to your ductwork to help heat your home, one with a direct vent for safety and efficiency, or using one with an automatic starter instead of a pilot light. line directly from the gas meter, or from the main pipe near the furnace. Safety is key whenever you access a gas line. Check with your plumber to verify he has experience working with gas lines, and understands the complexity of adding new pipes and connecting to new sources.